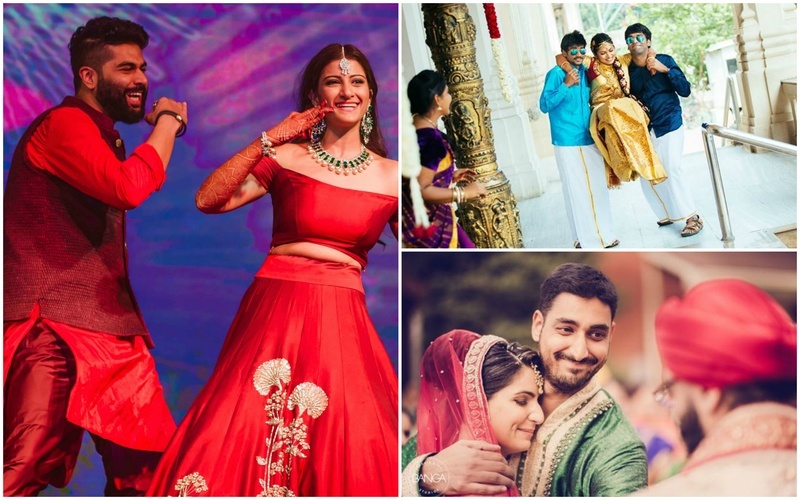 Raksha Bandhan Special: 12 Types of Brothers We Love, HATE & Cannot Ignore! Brothers come in all shapes, sizes, moods and temperaments. No, no, we’re not marketing our partner-in-crime here today. Instead, on the special occasion of Raksha Bandhan, we highlight the prime characteristics of Indian brothers that you’re sure to find in your sibling. Whether older or younger these better halves (before we find out prince charming that is) are the hardest to let go despite the love-hate relation we share with them. So, before we get all sentimental over the super awesome and special place brothers have in our hearts, lets indulge in some serious personality analysis - just for kicks! This type of brother in most cases is the youngest sibling - the one that can never say, see or do wrong in the eyes of the parents!! It must've been YOU! These ones will ensure you get into trouble for everything they do wrong, even if they are living in another country. Now this kinda skill needs to be acknowledged, innit? Then on the other hand we have the scapegoat brother. He could win the oscars for attracting trouble and getting blamed for everything that's wrong with the world. If you're the 'laadli' of the house, you've probably bullied him no end, so you know. This is the favourite kind, especially when you have to go for one of them boring family dos. If not for him, you'd be bored to tears. Now you're just teary eyed cos you can't stop laughing until your sides hurt. These ones are also pretty creative with taking jabs at relatives, calling someone's bluff or indulging in random timepass conversation, peppered with just the right amount of swear words and generally sounding funny. No! A movie star brother is not the type we are talking about, unless we particularly mention Sallu Bhai and his sister troupe. Now, that is definitely a large enough category enough to have it's own sub heading in our blog. This is more like your "id ka chaand" sorta brother. Do not confuse him with "chaand ka tukda", although one is directly proportionate to the other. This bhaisahab is so busy, he never shows up for anything, anywhere, anytime and when he does, he hogs all the attention. Yes, boys love music, sports, bikes and fast cars, there is no denying it. We all at one point or another, admire those brothers who carry the cool swag with such ease and nonchalance You love the way they hold the guitar and sing, play the drums and do everything with so much style, even something as mundane as buying bread ande. Their cool factor doesn't just give you all the swag goals, it also makes you the most popular amongst your friends who'll probably give an arm and a leg to be around you, him and your house. Swag aside, this is the one we all really hope for, don't we. "Bhai ke paise, apne paise!" Hide a few secrets, run a few errands, tell a sob story (and tell it well), and you are bound to be rewarded. Like two weren't enough, right?? Unless this third parent comes with a financial advantage, in a combo package with the trait mentioned above, he can be the most annoying. "Lecture sunao par paise bhi kharch karo." This is the "I need to be paid, if you need to be tolerated" kinda brother! To these ones we say, "GET A LIFE!" This type of brother is easy to fool, trusts you blindly, and will move mountains for you, literally! You'd also want him with the combo ATM pack. But pyaari behena, please remember - THEY DO NOT EXIST! On the other side of the green pastures, there are these. The ‘I am the always the best’ and 'I am always right' kind. Be it in academics, career, extra-curricular activities, falling in love or making babies, they are always a few steps ahead, making you look 'oh so bad'. This type is self explanatory. If your brother has never annoyed or bullied you, fix an appointment with psychologist. That's part of the bro-sis rule book and we promise it'll help you sleep better at night. This type, although a very rare species, does exist. He is less a pesty brother and more a best friend. Your sibling soul mate will probably watch your back at all times. Just watch out a bit though, cos he might have a pretty strong opinion on the real one. We hope you had fun discovering the many types of brothers, ladies. Share the love.